Max Lowe was sold on a move to Aberdeen by Jody Morris, who worked with Derek McInnes at St Johnstone and Bristol City. 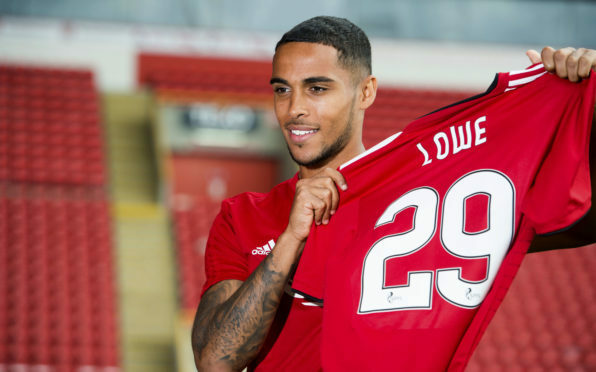 New Aberdeen signing Max Lowe was sold on a move to the Dons by ex-St Johnstone midfielder Jody Morris. Derby County assistant manager Morris, who worked with Derek McInnes with the Saints and Bristol City, praised the Aberdeen boss’ way of dealing with young players and pin-pointed it as the best move for Lowe. The 21-year-old made a big impression on Morris and new Rams manager Frank Lampard over the summer, but found competition from Scott Malone and Craig Forsyth in his way. He penned a new three-year deal at Pride Park prior to his move to the Granite City. McInnes believes his friendship with Morris would have done no harm in facilitating the move, with Lowe speaking highly of the encouragement he was given to sign. He said: “To be fair Jody’s input was probably the most important thing out of everything. He pulled me aside and said the gaffer is great with young lads, and that he’s got history with it with James Maddison and Danny Ward. He told me about Aberdeen as a club and the opportunity it is to play in the Scottish league. I was on board with it and wanted to go straight away. Jody’s played in Scotland and had a great career as well as the gaffer. That Jody’s done it and spoke highly of it made it a no brainer for me. “Frank has been fantastic with me. When he talks, you listen. He’s had the best career of any manager I’ve worked with. He’s been great with all the young lads, not just myself. As soon as Aberdeen were interested he only spoke positive things about the gaffer and the size of the club. “It was more Jody Morris I was speaking to and he spoke about the club and the Scottish league itself. He said it would be a great opportunity for me to learn under the gaffer here. Lowe has played 14 games for Derby and spent the second half of last season on loan at League One side Shrewsbury Town, helping them reach the play-off final. The former England youth international is keen to get as many games as he can under his belt while playing for the Dons, taking a leaf out of the book of previous loanees that have moved from England to Aberdeen. He added: “The one that stands out for me is James Maddison because he’s my age and plays for the England under-21s. He came up here, did really well and went back to Norwich. Now he’s starting at Leicester. Hopefully I can follow in his footsteps because he’s done really well for himself.